When is a door not a door? When Its ajar. 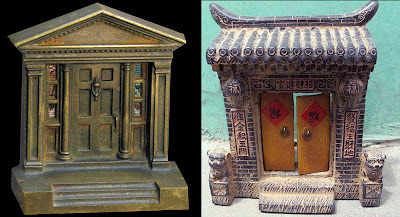 That’s the old riddle that makes me think of souvenir coin banks and other replicas which just represent a door. 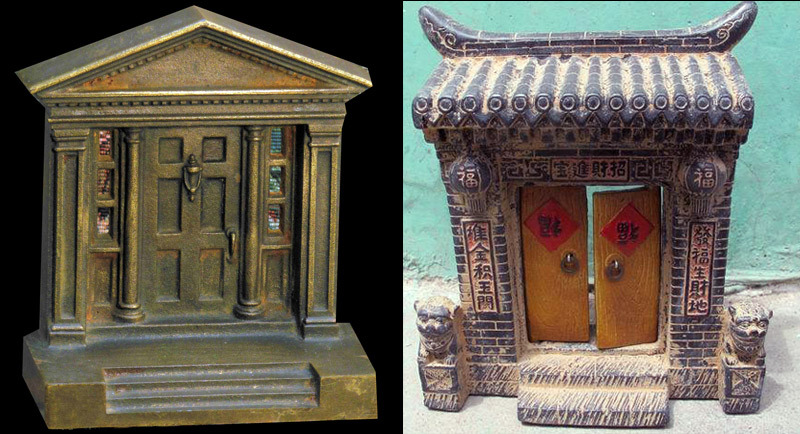 From a bronze doorway bookend to a ceramic Asian entryway, souvenirs sometimes just depict part of a structure. Other examples include the front of the Worchester Federal Savings Bank made by Banthrico and an antique brass doorway of a Norwegian bank reproduced as a coin bank. 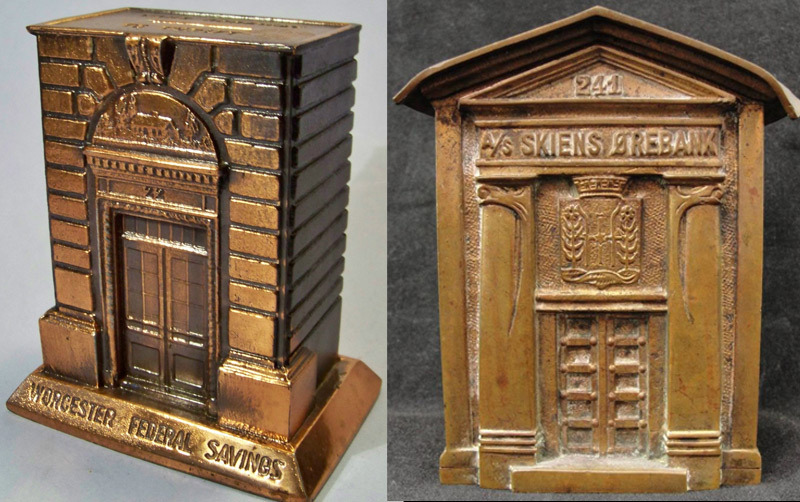 Do you know of other souvenir doorway replicas? What about Petra - the Monastery and Treasury? Also, Central Bank of Albany, NY and Brockton High School, MA bookends (or were they door stops?). And I have a set of Stanley Home Products Doorways in ceramic. Joe K.
Do you know the value or maker of the bookend to the left at the top. The one with the door and the holes where the windows are? I haven’t been able to find the pair I have anywhere! Thank you!